In every segment of retail, countless products compete for our attention. Whether fashion, cosmetics, furnishings, accessories, or gourmet food, the range of goods is overwhelming. Designers and manufacturers are faced with the daunting challenge of setting their products apart to reach their target audiences. The best ones captivate us by telling fascinating stories or creating compelling retail spaces and experiences. The Still Life compiles striking editorial photography, innovative shop window displays, and intelligent visual merchandising that succeed in doing exactly that. The featured work is created by imaginative stylists and photographers who arrange products, objects, and materials in unusual ways. Distinctive worlds of images result that are reminiscent of Baroque and Renaissance still life paintings in which arrangements of flowers, fruit, musical instruments, and other objects were used as powerful allegories for various aspects of life and death. Today’s creatives are developing new visual storytelling techniques for engaging customers. The Still Life showcases their entire spectrum. 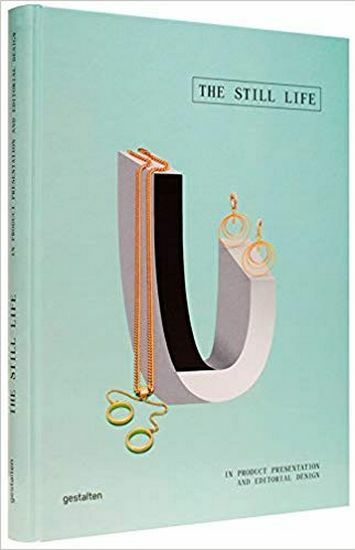 The book illustrates how a combination of quality handcraft and inspired flair are being used to put familiar products, such as gardening tools, cutlery, purses, writing implements, or jewelry, into surprising new contexts, ranging from minimalistic understatement to opulent glamour. It includes shop windows, magazine spreads, and showrooms meticulously styled into works of art. The Still Life is a source of inspiration for anyone working in product communication, editorial design, and retail who is responsible for creating fitting platforms on which to promote premium products ? brand worlds in which the products come to life for potential customers. Featuring retail spaces that offer extraordinary experiences just by stopping in for a visit, the book is also a visual feast for all connoisseurs of quality consumer goods.